Fuji Rock certainly exists as a welcome bit of escapism in the heart of summer. Everyone wants to get away from the drudgery of the everyday and slip away from work for a little bit, and three days out in Naeba can practically feel like going off the grid. For the most part, everyone just wants to chill and have a good time. But it’s possible to muck it up if you aren’t careful. Before shipping off to Niigata, it’s important to review some common ways people end up standing out and being one of those festival punters. Some are common sense that get lost in the glow of the Green Stage (slash multiple beers), while others reflect shifting social standards that you might have missed the memo on. Just double check before you get on that bus or train, and it will make the experience all the better. Obvious right? Fuji Rock prides itself on its eco friendly state of existence, and everyone who goes to Naeba values the grounds as being spotless. But plenty of trash does end up appearing all over the area in the wake of the event. It’s maybe the easiest thing to keep in mind on this list, really, even a few drinks into Sunday night — just make sure to take your rubbish to one of the many bins near the stages and dining areas. You’ll avoid angry glances by just taking a few steps towards the disposal areas. Think carefully about your wardrobe! I have somehow seen people do this nearly every year I go. Looks painful! 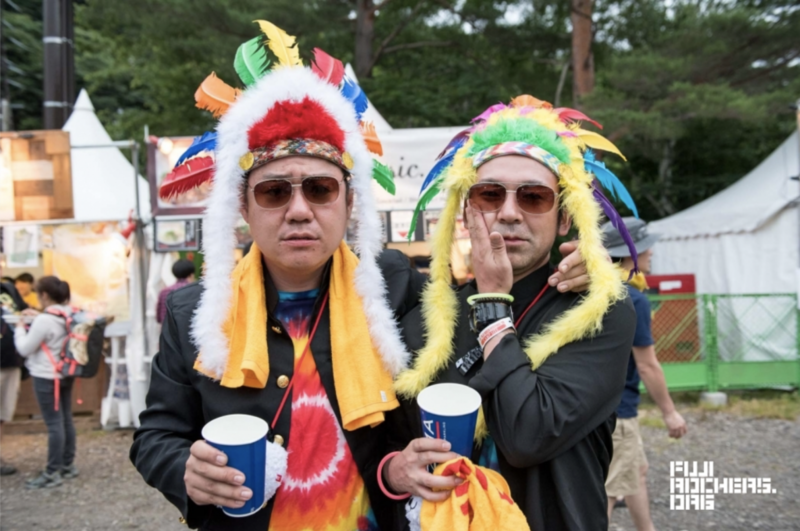 Fuji Rock is a great time to connect with other music fans and lovers of the summer fest experience, so striking up a conversation with a stranger is fine and lovely. But try to pick up on the point where they’d rather, you know, not be chit-chatting with a stranger and enjoying themselves at one of the stages. More importantly, if someone doesn’t want to talk or hang out, let them go on their way rather than pestering them. This really usually isn’t an issue…but man, last year the crowd for Kenji Ozawa just wouldn’t move an inch to let folks trying to get to the Green Stage through. People really like trumpets in pop music. This resulted in a fence in the back near the White Stage kind of falling over. Do not be like these people, listen to Cornelius instea…errrr, sorry, make space. Again, usually not a problem when one has clear judgement. But Fuji Rock sees a lot of people impair their better thoughts, and sometimes can move around Naeba acting a little too much like they own the place. Be respectful and polite to the people who call this place home for more than just three days in July, and don’t damage their property or cause them unnecessary trouble. Better yet — help them when you can, or at least support them if the chance arises.